The school holidays for us were 5 weeks and what felt like one month long. By the final week I think everyone was ready to get back to a normal routine! Are you back to school yet? 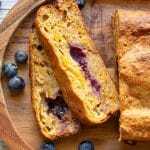 Well, why not send your kids off back to school with this delicious and perfectly spiced Carrot Blueberry and Orange Loaf nestled in their lunchboxes. It is so good, just bursting with flavour. That concentration tongue again…Oh. Emmm. Gee. 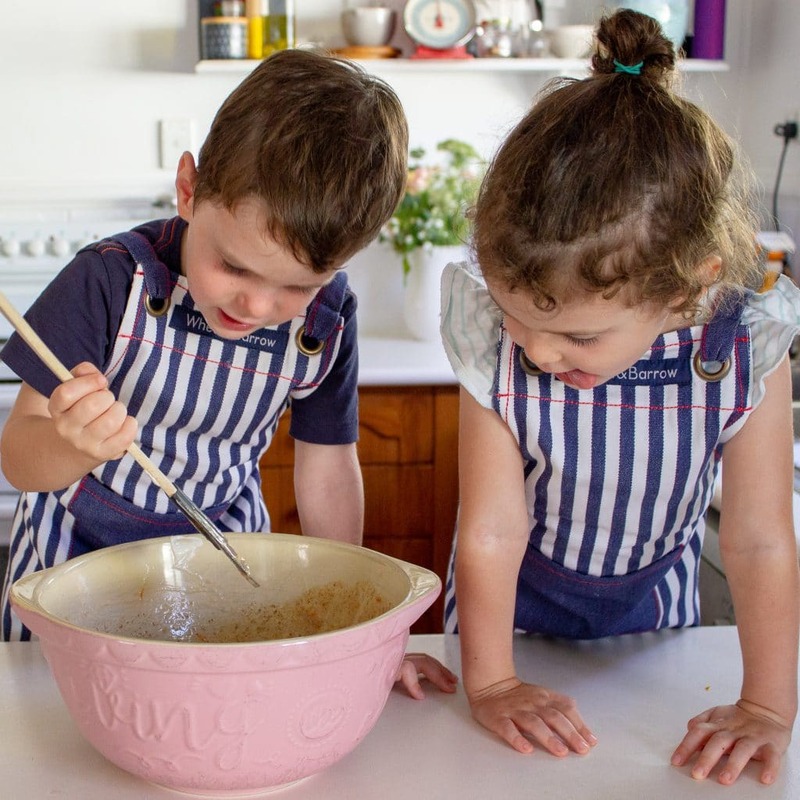 I love developing recipes that have vegetables in them, and this recipe is full of goodies and is relatively low in sugar. But I think one of the things I like about this is that Mr 7, who has firmly eschewed blueberries for the best part of two years, actually eats this Carrot Blueberry and Orange Loaf. And he loves it. 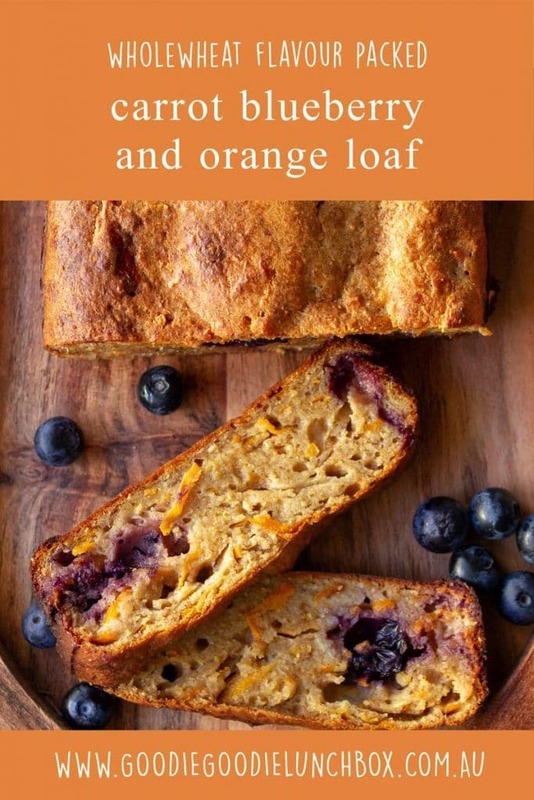 I have tested this with Carrot, Blueberry and Orange Loaf without the maple syrup and it was still nice, so you could totally just omit this. But I did prefer the flavour with the maple syrup. It seemed to highlight the other flavours. 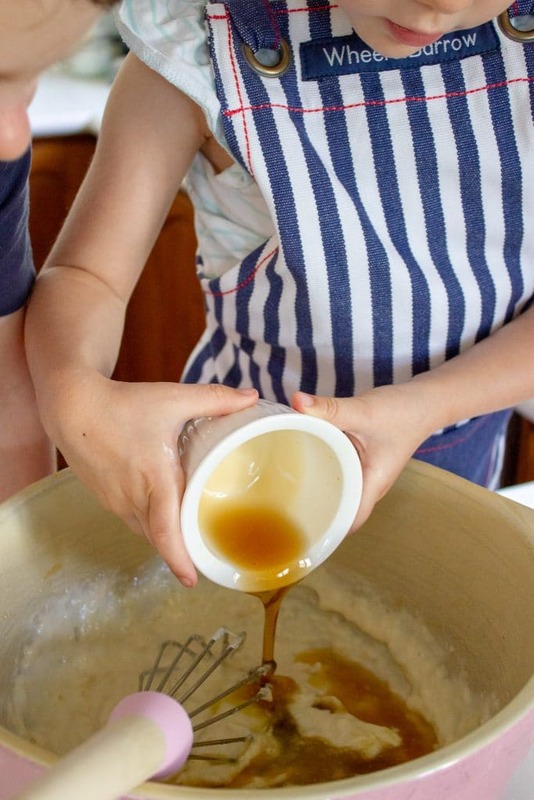 Are you loving the sound of this recipe? 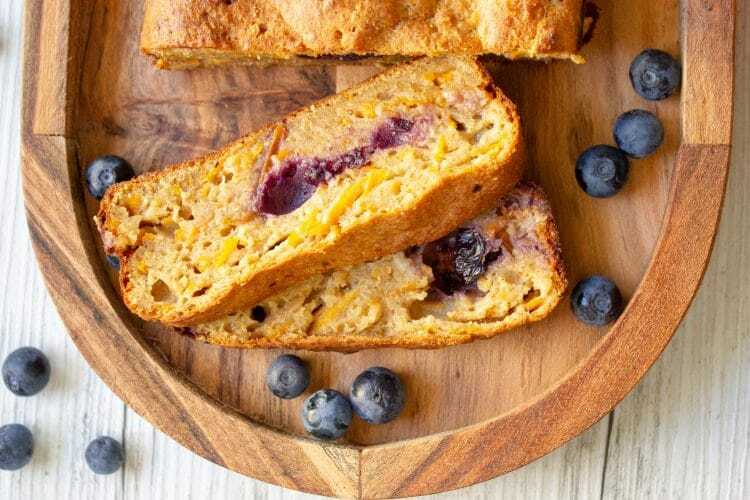 You will also adore this Healthy Banana Bread or these Lemon Yogurt Mini Loaves. Or are you looking to use up some carrots? Why not try these delicious Carrot Oat Cookies or go savoury with these Carrot Cheddar and Poppy Seed Crackers. 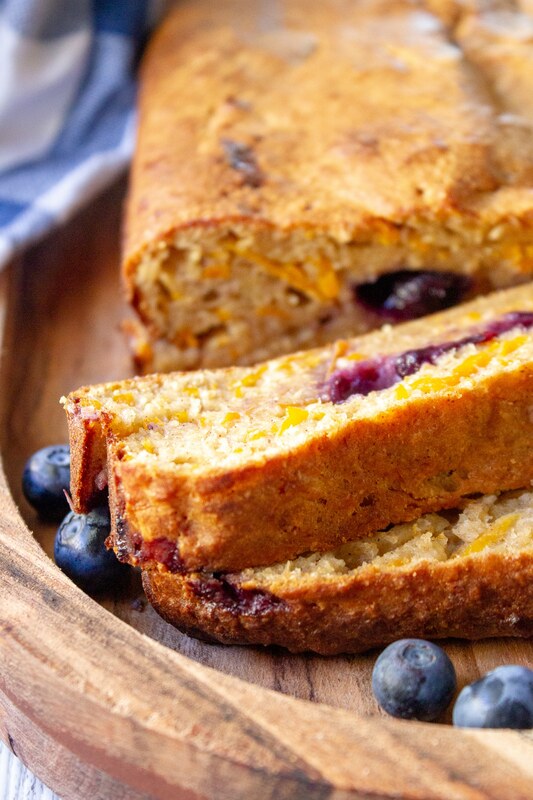 This Perfectly Spiced Carrot Blueberry and Orange Loaf is light and full of goodness. Bursting with flavour, made with wholemeal flour and nut free. Perfect for snacks or lunchboxes. I hope you enjoy this recipe, as always if you bake this please share with me over on Instagram or Facebook. Would this work as a muffin? It sounds delicious what oil do you recommend? Coconut oil? This is a fantastic recipe. Loved by my 9 yr old son and his dad too. They are fussy! Easy to make. Thank you Bernadette! I make quiet a few of your recipes. Oops that should be “quite a few”. Ah those typos!